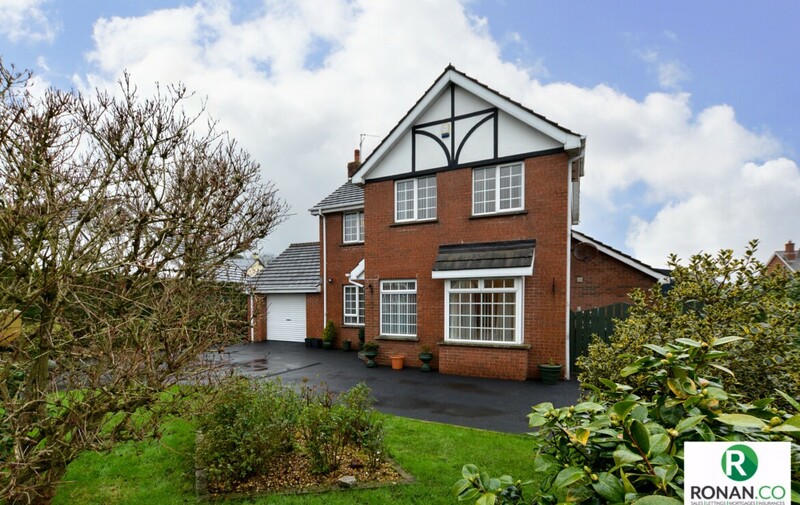 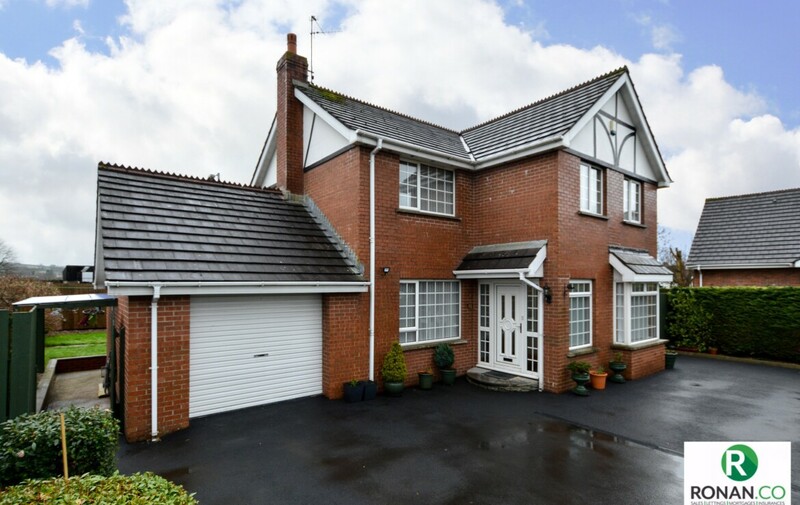 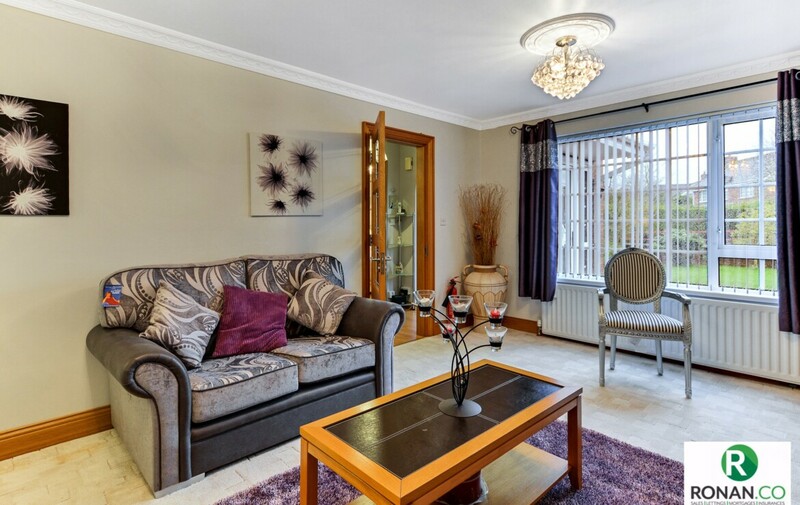 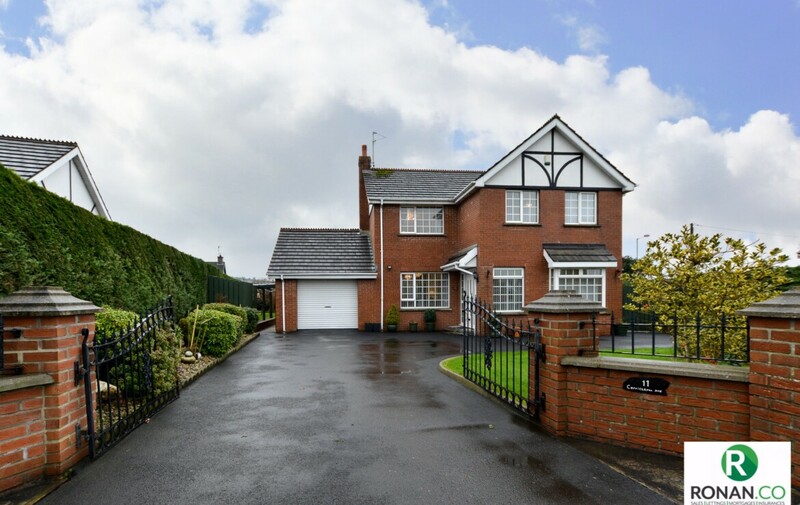 Ronan McAnenny Ltd is pleased to welcome to the property market this spacious four bedroom detached house located in the much sought after area of Carricklynn Avenue in Strabane. 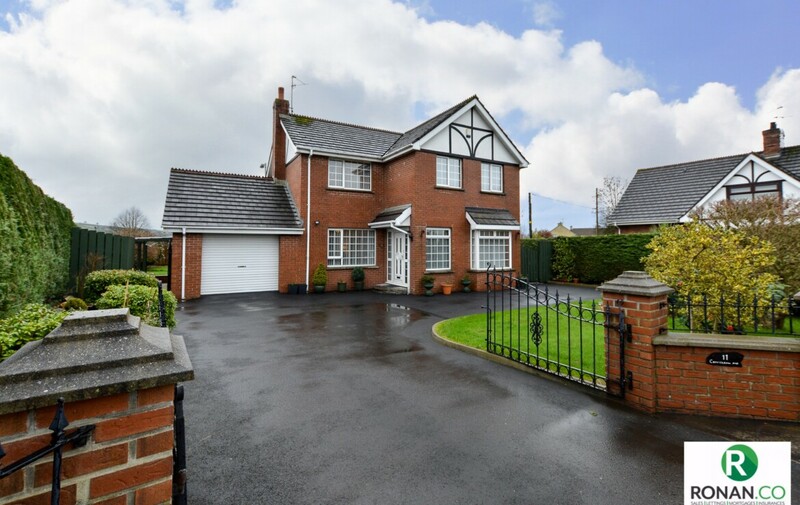 This is a large dwelling measuring 147 Sq Metres which consists of four double bedrooms, three bathrooms, kitchen, sitting room, sunroom, utility room and garage. 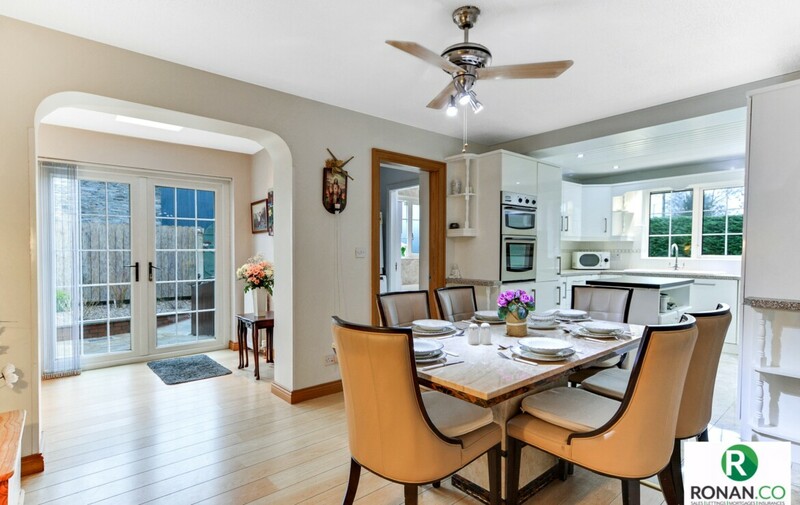 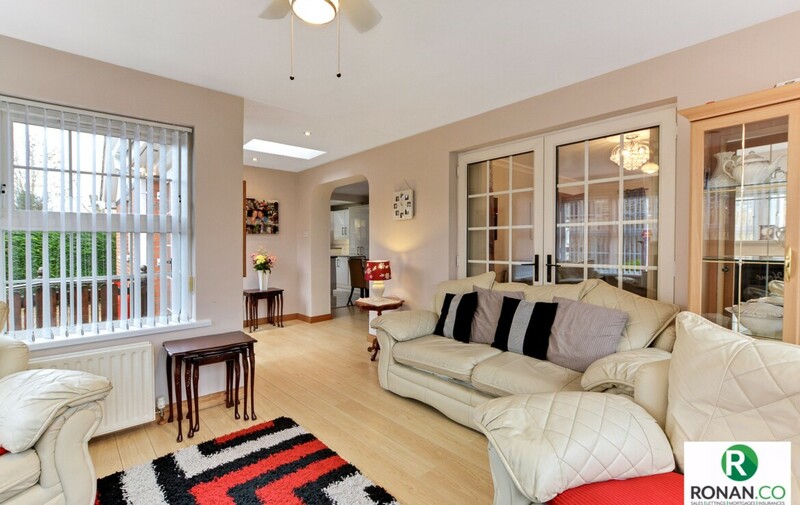 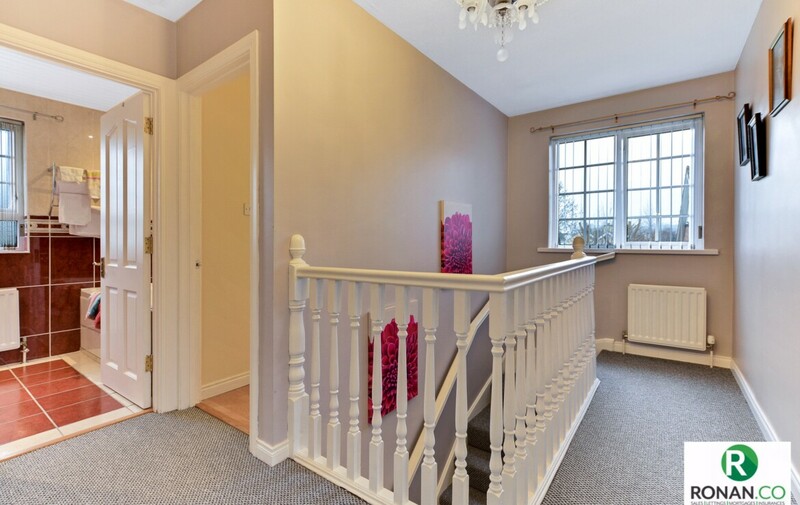 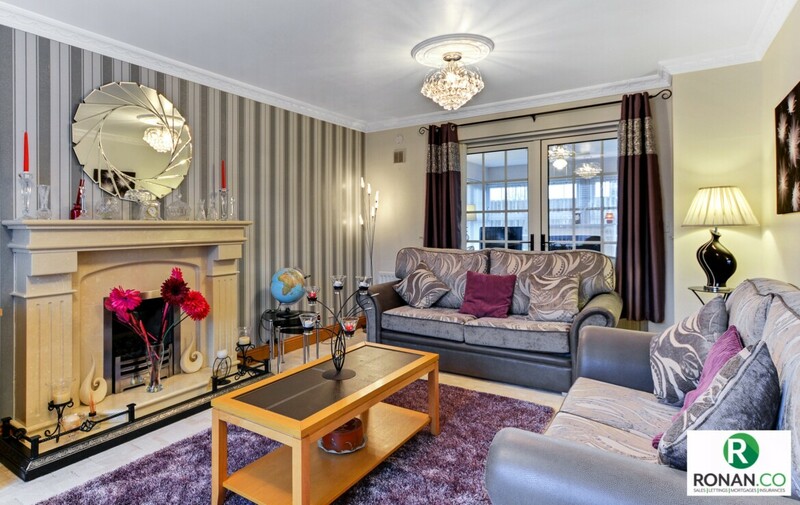 Internally this home has been maintained to the highest standard throughout. 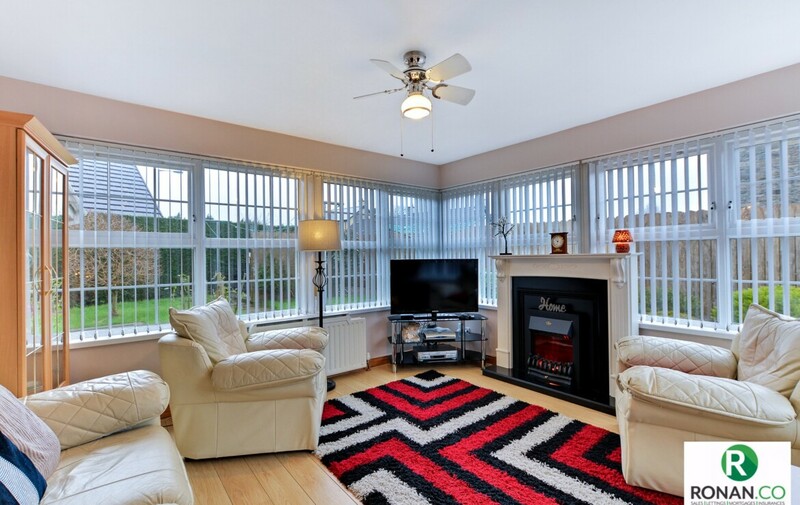 The property itself benefits from having an oil fired central heating system along with having a gas fire. 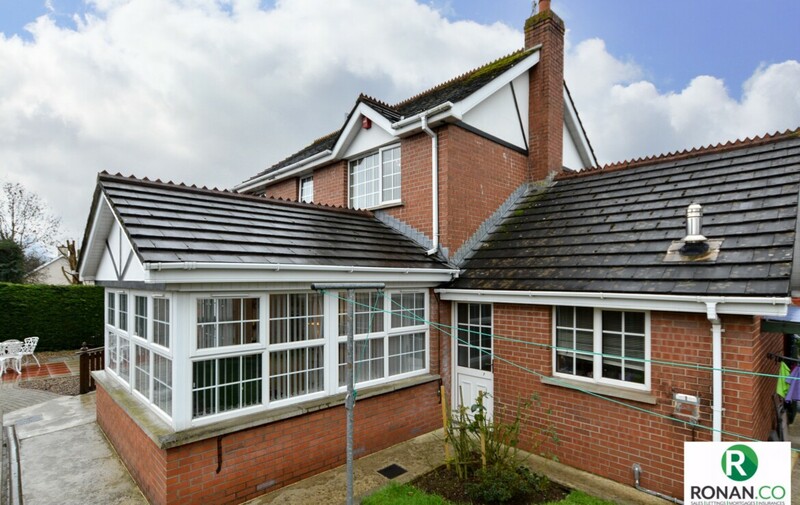 It also has double glazing PVC windows and PVC doors. 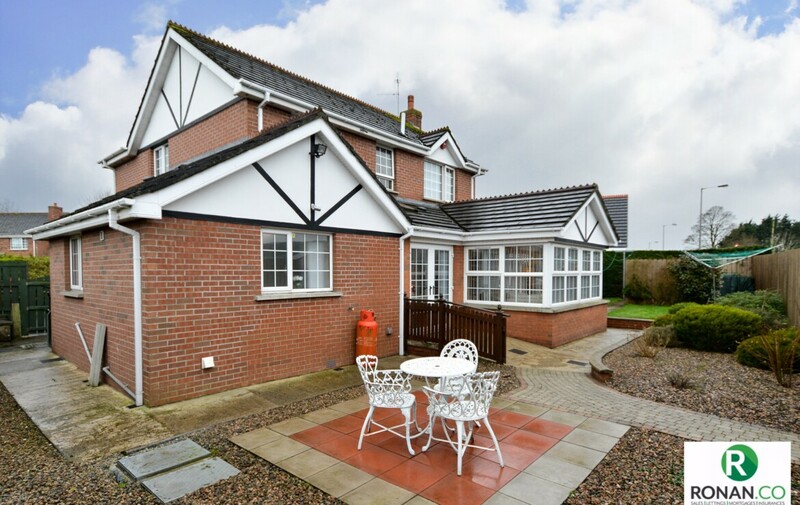 To the exterior of the dwelling there are gardens to the front and rear, with a tarmac driveway providing parking facility for several vehicles. 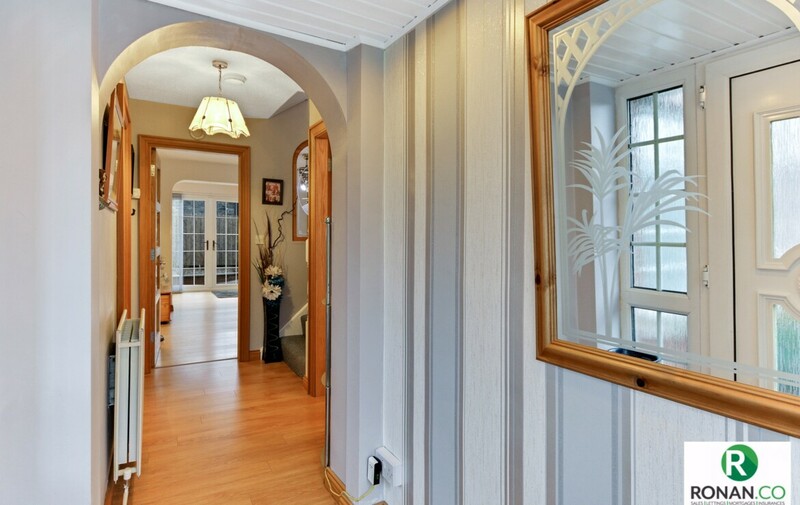 This home must be viewed to be fully appreciated. 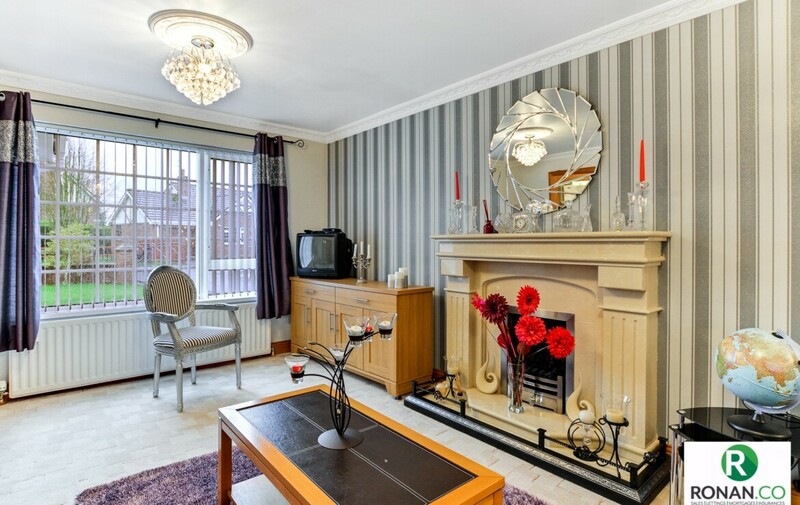 Carpet flooring, marble fire surround with gas fire. 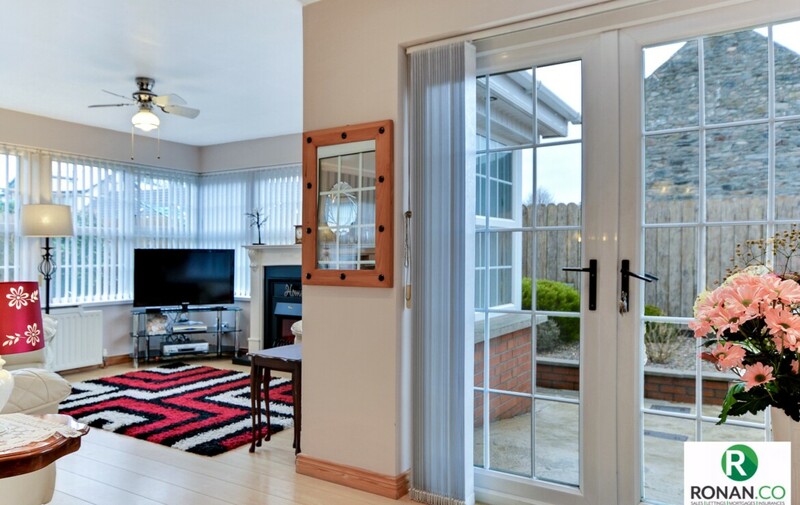 Laminate flooring, electric fire insert, patio doors and double radiators. 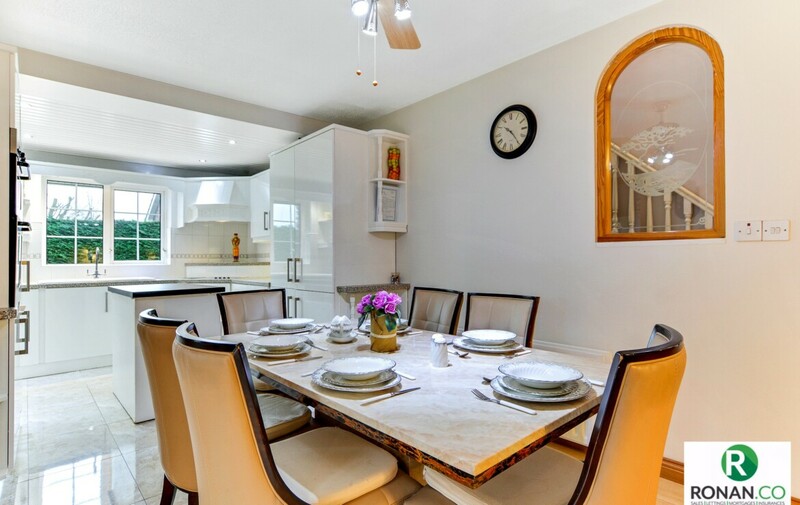 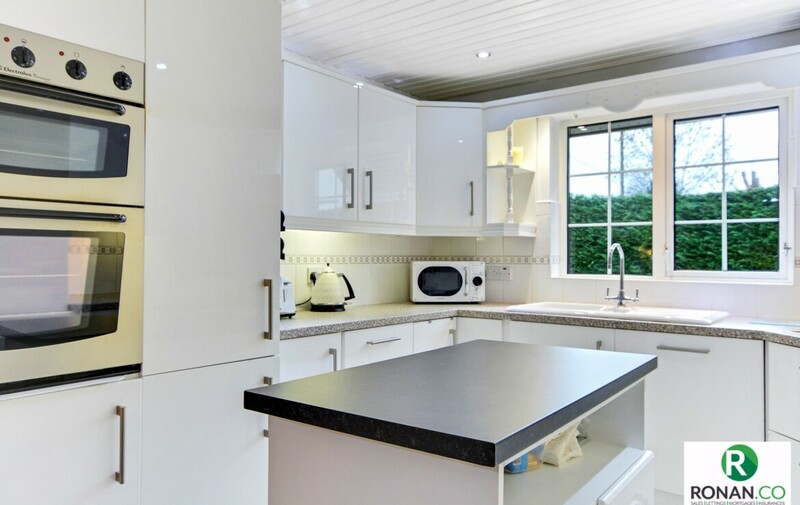  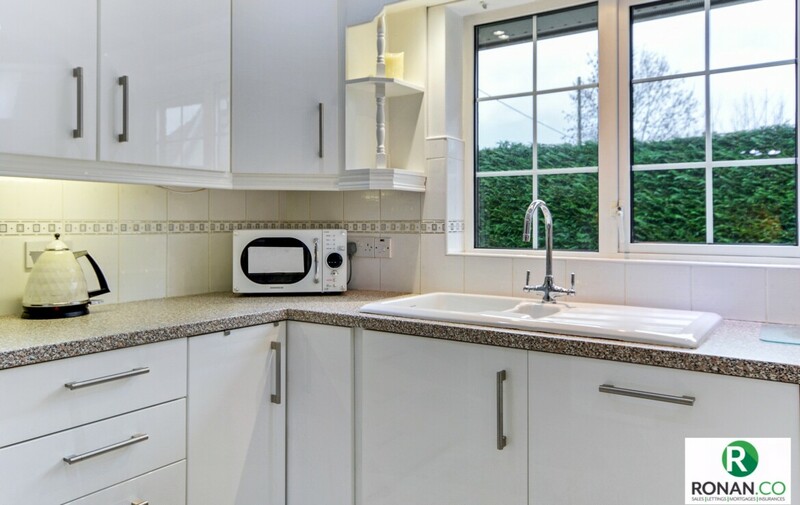 Flooring – half tiled/half laminate, high gloss white kitchen units, recessed spotlights, high level double oven, integrated fridge/freezer, integrated dishwasher and double radiator. 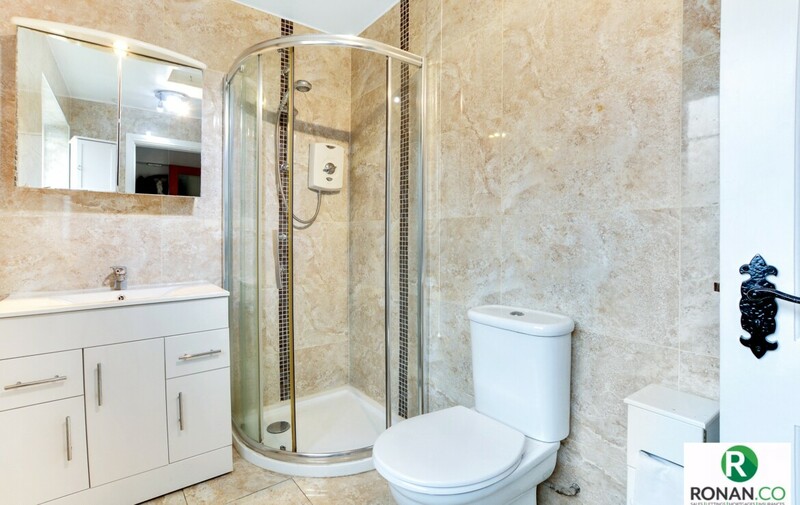 Tiled walls and flooring, double shower, WC and wash hand basin. 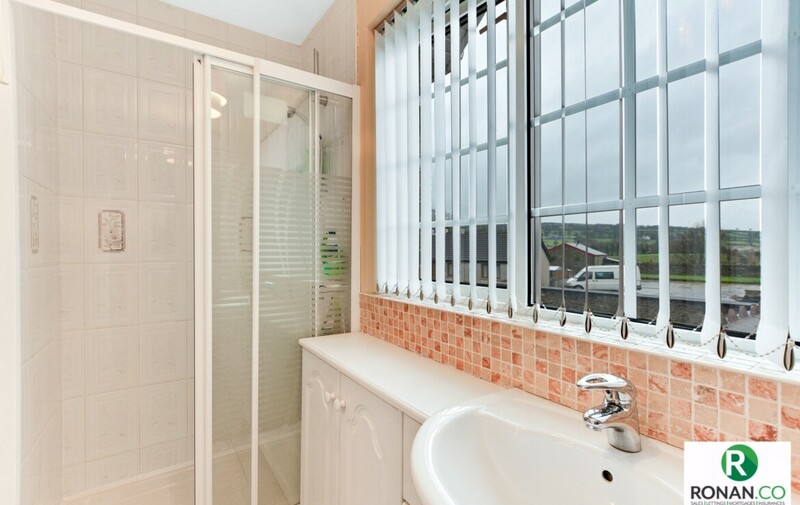 White bathroom suite with tiled walls and flooring, bath, extractor fan and single radiator. 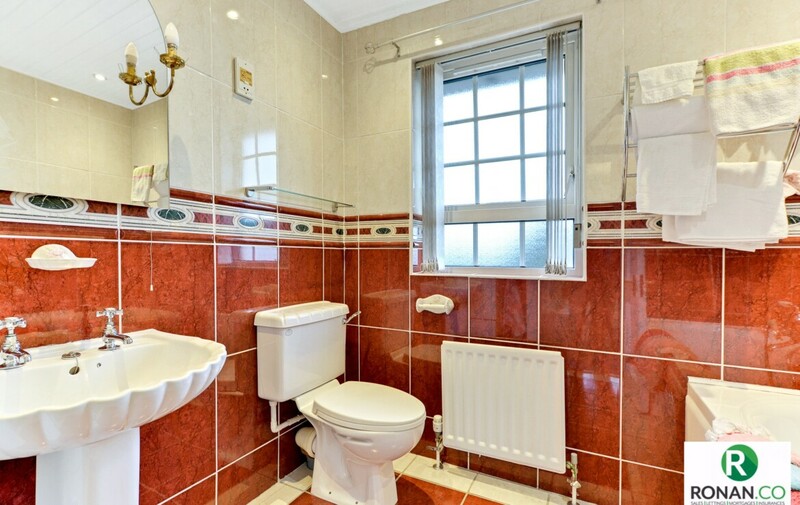 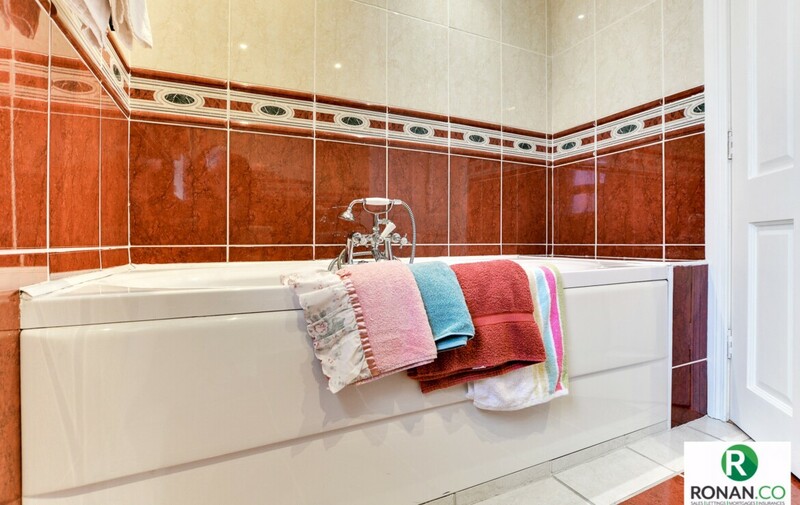 Tiled flooring with partially tiled walls, WC, wash hand basin, electric shower and double radiator. 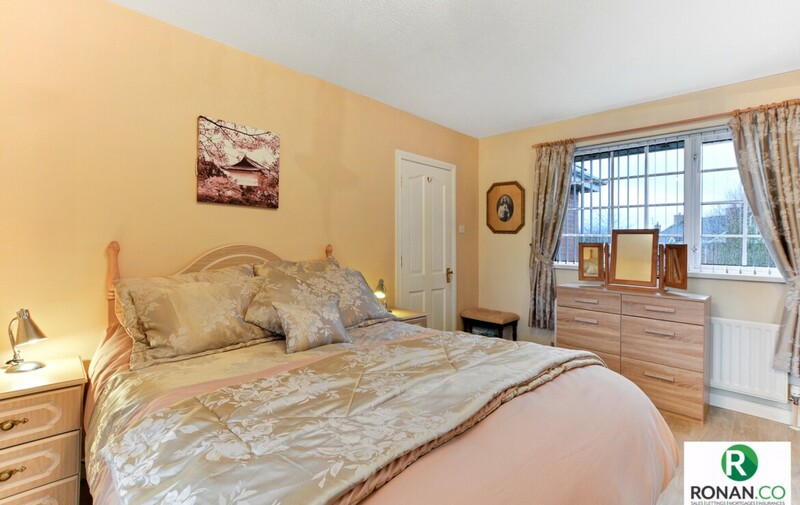 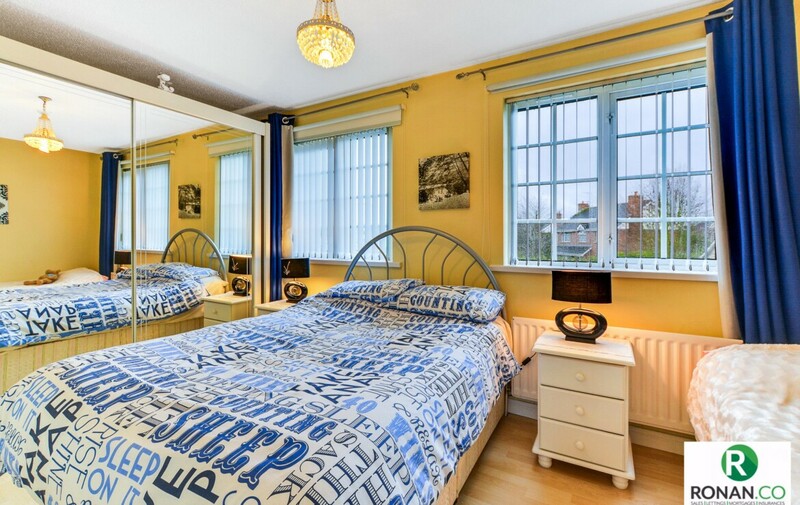 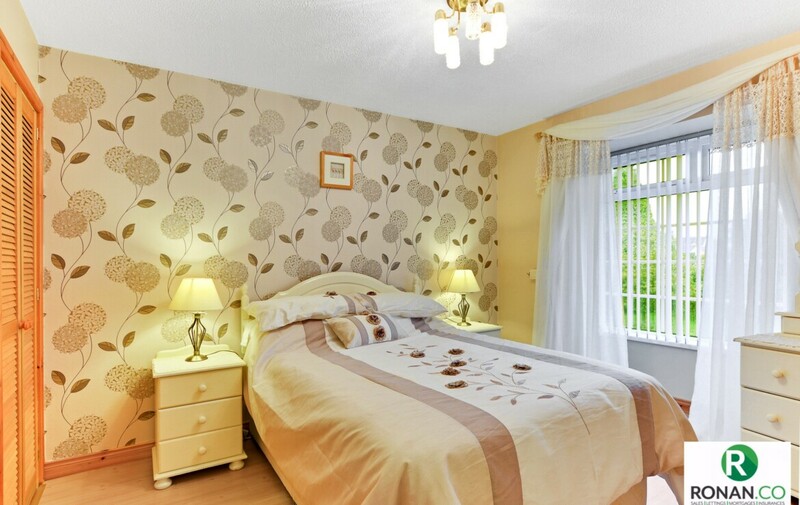 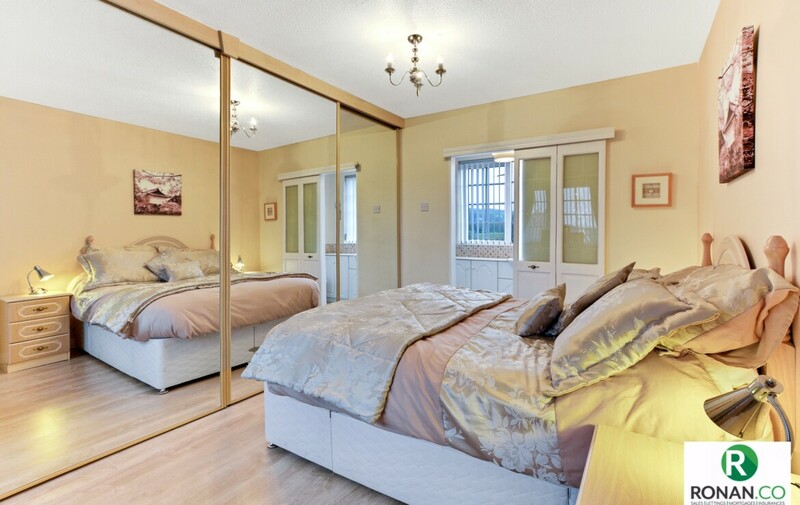 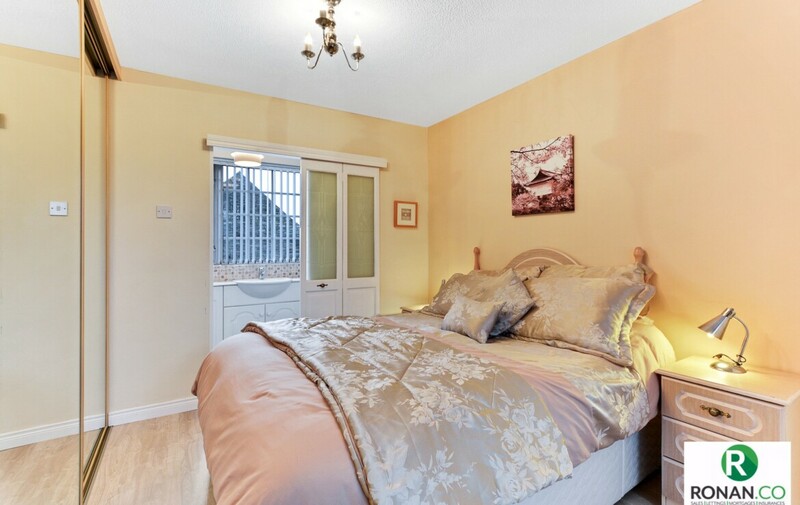 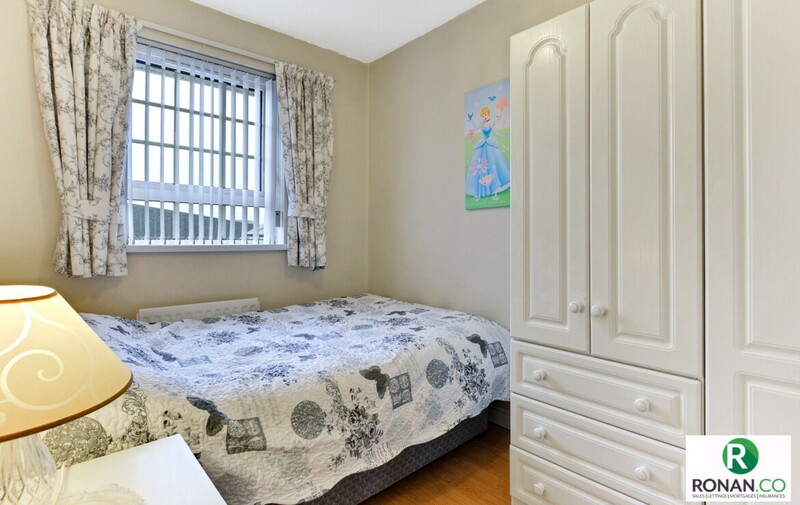 Double bedroom with laminate flooring, built in wardrobes bay window and double radiator. 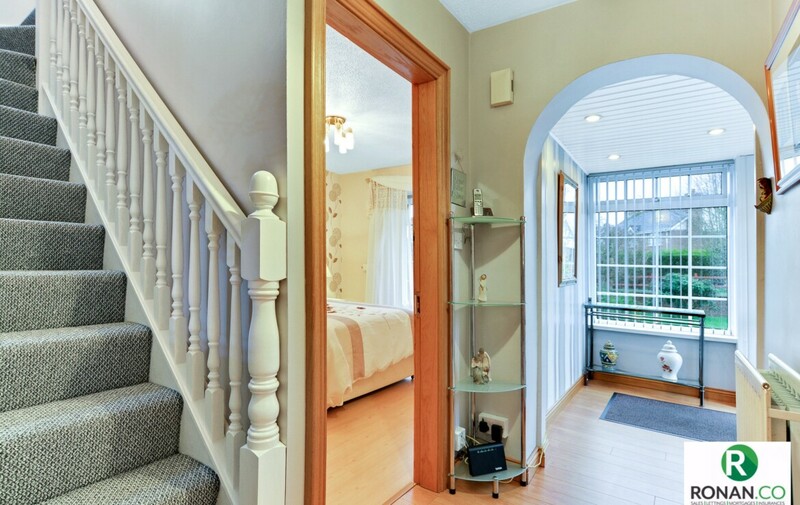 Condenser boiler and roller door. 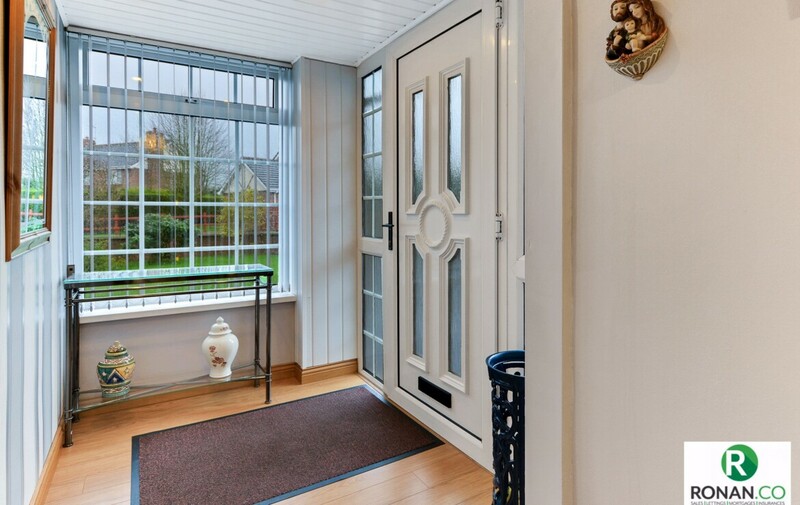 Viewings are by appointment only and can be arranged by calling our office on 02871886910.